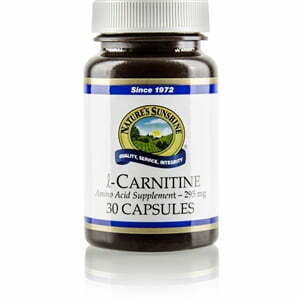 Nature’s Sunshine l-Carnitine supports muscle health. L-Carnitine, an amino acid used in transportation of long-chain fatty acids to the cells, fights against progressive muscle weakness and severe hypoglycemia. 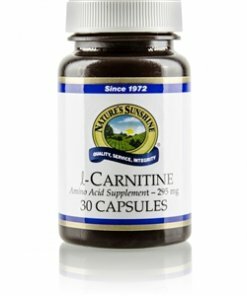 Occurring naturally in animal muscle tissue but not in vegetable foods, l-carnitine is synthesized in both the liver and the kidneys. While adverse side effects may accompany man-made forms of l-carnitine, Nature’s Sunshine l-carnitine is natural and safe.